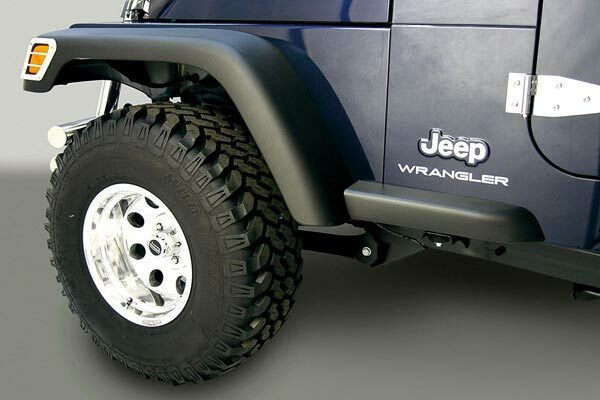 Rugged Ridge 11607.01 - Rugged Ridge Oversized Jeep Fender Flares - FREE SHIPPING! I installed the fender flares on a 93 wrangler that was all stock until now. I had some rims and tires given to me that were bigger than I was going to put on originally. With these fender flares, I was able to put the 31's on without having to put a big lift kit on. I would recommend that size tire but sometimes you use what you are given. Overall the flares are really nice and look good too. This is just after installing them. Time will tell the durability and overall quality of the flares. 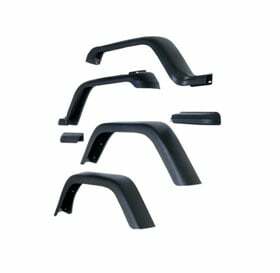 Rear are extremely difficult on YJ. Flare should be modified, cutting metal off my jeep was more difficult than illustrated. There are now details that will require more parts and possibly professional attention to be done properly. Look great and protects even better! These required some trimming of the flanges to fit my '95 YJ sahara. The instructions don't tell how to use the threaded inserts, instead, I used self drilling screws on the rear flares. The finished install looks great and provides the protection I was looking for. I am very pleased with these flares now that I have them installed. I ordered for my 1988 Wrangler. The fronts went on fine but the rears do not fit. They are too big for the fender well and when I asked for a replacement that fits the response was that I would have to cut the metal around the fender well to make them fit!! Obviously adds a lot of time, money and hassle to the installation of the product. These completely cover the tires even with offset wheels. I am very happy with the way the jeep looks and I don't get pulled over anymore. I didn't realize I was going to have to cut the rear fenders, but once I swallowed that pill it increased the clearance and they fit right in. Only negative thing is they catch to much mud, I'm havin a heck of a time getting my rig dirty!!!! for the price you cant go wrong look pretty good install was easy. 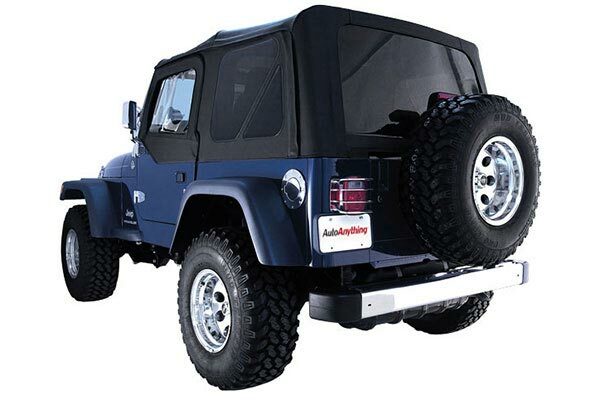 Reference # 766-183-424 © 2000-2019 AutoAnything, Inc.